A year after Germany's defeat, Gregor Reinhardt has been hired back onto Berlin's civilian police force. The city is divided among the victorious allied powers, but tensions are growing, and the police are riven by internal rivalries as factions within it jockey for power and influence with Berlin's new masters. When a man is found slain in a broken-down tenement, Reinhardt embarks on a gruesome investigation. It seems that a serial killer is on the loose, and matters only escalate when it's discovered that one of the victims was the brother of a Nazi scientist. 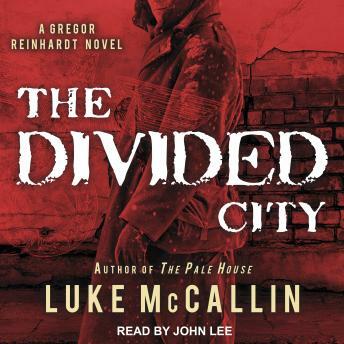 Reinhardt's search for the truth takes him across the divided city and soon embroils him in a plot involving the Western Allies and the Soviets. And as he comes under the scrutiny of a group of Germans who want to continue the war-and faces an unwanted reminder from his own past-Reinhardt realizes that this investigation could cost him everything.